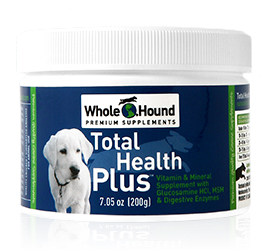 Because studies suggest, and many veterinarians agree, that nutritional supplements help facilitate proper growth in puppies, maximum health in adult dogs and can contribute to disease prevention in dogs of all ages. We do get asked whether there is any science behind supplementing our dogs, so I thought I’d post a few findings to support our own personal experience from a scientific point of view. “The approach of preventative nutrition is to remove nutritional risk factors from an animal’s diet to maintain optimal health and well-being and prevent the onset of disease. Providing an animal with the highest-quality diet is important but will not always accomplish this goal. Studies of nutritional supplements have shown the effectiveness of using well-designed nutritional supplements to overcome subclinical deficiencies and health problems during times of growth, lactation, heavy stress and work (Mauchlin, Sauberlich, 1994).